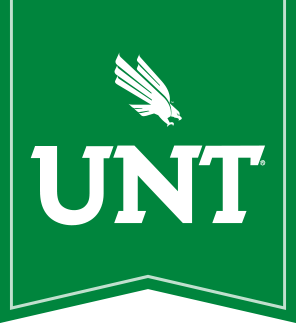 Thank you for you interest in applying to the 2019 UNT Chemistry NSF-REU program. We look forward to reviewing your application packet. The application packet consists of the online application, a personal statement discussing research interests and career goals, a transcript from your current institution, and two (2) recommendation letters from college/university faculty in the sciences (such as Chemistry, Biology or Mathematics). An optional third letter can be included from anyone outside of this group, such as a job supervisor or graduate student mentor, but it must describe your potential for research. The two (2) required recommendation letters from college/university faculty in the sciences must come from your course instructors (past or present) and/or research advisors. Academic advisors, lab instructors, employers, etc. who have not directly taught you in coursework are not suitable references. Graduate students and Post-Doctoral Fellows are NOT considered college/university faculty. Letters from Lecturers or Instructors will only be accepted if those personnel are considered faculty by their institutions. If needed, we will request verification from the recommender's academic department concerning his/her college/university faculty status (preferably from the department chair). Once submitted, you will not be able to update your application. If updates are needed, please send the changes to chem-reu@unt.edu. Typically, the personal statement and transcript are submitted as part of the online application. If needed, you are able to submit the application without the personal statement and/or transcript, although your application will be considered incomplete. Once you have either document, return to this page and submit the document using the appropriate link below. Once your application is submitted, your recommenders will automatically receive an email containing a link to the online recommendation form. Please let them know to expect an email from chem-reu@unt.edu. Please notify chem-reu@unt.edu if the recommenders do not receive the email within 3 business days. Please note that the information you provide in this application may be used for statistical analysis to help with the continued growth and vitality of summer research programs for undergraduate students. All of the information that you provide will remain confidential. At the end of the application, you will have the opportunity to withhold the information on this application form from the statistical analysis. Choosing to withhold the information will have no bearing on your application. Participants are required to provide proof of medical insurance prior to the start of the program and to maintain medical insurance coverage throughout the duration of the program. Failure to provide proof of insurance will result in revocation of the participation offer. Failure to maintain medical insurance coverage throughout the duration of the program will result in immediate expulsion from the program. Participants are not allowed to be employed outside of the program. Failure to abide by this rule will result in immediate expulsion from the program. Participants must be 18 years of age or older. Misrepresentation of your age will result in immediate revocation of the participation offer. The application deadline is Friday, February 15, 2019, although we will accept applications until all positions are filled. Priority will be given to applications received by the February 15 deadline. Recommendations and any missing application documents need to be submitted as soon as possible. Please contact chem-reu@unt.edu if you have any questions or concerns.